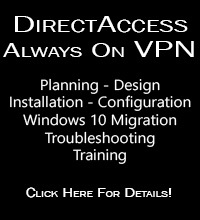 6to4 | Richard M. Hicks Consulting, Inc.
DirectAccess client to server connections are established exclusively over IPv6. To allow for this communication to take place over the public IPv4 Internet, DirectAccess uses IPv6 transition protocols – 6to4, Teredo, and IP-HTTPS – to tunnel IPv6 communication over IPv4. 6to4 is supported when the DirectAccess server is edge facing with a public IPv4 address assigned to its external network interface. Two consecutive public IPv4 addresses are required to support Teredo. IP-HTTPS is used in all scenarios, and exclusively when the DirectAccess server is located in a perimeter or DMZ network behind a NAT device. Not all IPv6 transition protocols are created equal. For Windows 7 clients, 6to4 and Teredo provide significant performance advantages when compared to IP-HTTPS (Windows 8.x clients can use null encryption for IP-HTTPS, which eliminates this performance advantage). 6to4 and Teredo offer nearly identical performance, but 6to4 suffers from some unique challenges and should be disabled by default for all DirectAccess deployments. Note: IP-HTTPS null encryption is disabled for all clients when client-based remote access VPN or one-time password (OTP) authentication is configured on the DirectAccess server, which can impact performance for Windows 8.x clients using IP-HTTPS. The 6to4 IPv6 transition protocol is used when a DirectAccess client has a public IPv4 address assigned to its network interface. 6to4 uses IP protocol 41 for transport, and does not work when the client is behind a NAT. If outbound IP protocol 41 is blocked (a common scenario) then the client should fallback to Teredo or IP-HTTPS. In my experience this doesn’t always happen. In fact, the protocol fallback fails with enough regularity that it is the primary reason I recommend disabling it by default. 6to4 is also problematic when it comes to configuring Active Directory IP subnets for clients in a multisite DirectAccess deployment. 6to4 addresses begin with the 2002::/16 prefix followed by the IPv4 address of the client represented in hexadecimal using the form WWXX:YYZZ::WWXX:YYZZ. For example, if the DirectAccess client’s public IPv4 address is 198.51.100.83, its 6to4 address would be 2002:c633:6453::c633:6453. 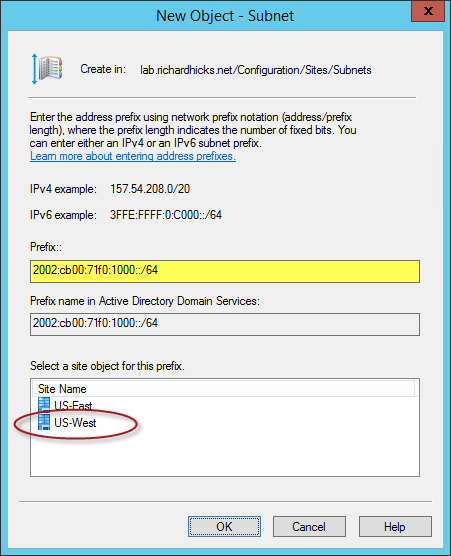 Since this IPv6 address is created using only the client’s IPv4 address, there is no way to associate the client to a specific entry point. The administrator is left with assigning the 2002::/16 prefix to the most centrally located AD site. This will undoubtedly result in some DirectAccess clients using domain controllers that are not ideal, which will ultimately lead to slow log on times and mapped drive failures. In some deployment scenarios, 6to4 and Teredo offer performance advantages when compared to IP-HTTPS. Performance is identical for both 6to4 and Teredo, and considering the challenges that 6to4 poses, it should be disabled by default for DirectAccess deployments. This eliminates the possibility of associated connectivity issues, while still allowing DirectAccess clients to use the Teredo IPv6 transition protocol and not incur any performance penalty. Details about disabling IPv6 transition protocols can be found here. Microsoft has made available an update for Windows 7 and Windows Server 2008 R2 to improve the operability and performance for these operating systems when you migrate from IPv4 to IPv6. Specifically the update resolves an issue where clients with a public IPv4 address, which are automatically assigned a 6to4 IPv6 address, may not be able to reach IPv6 hosts. The update includes a feature that allows the client to check and verify end-to-end IPv6 connectivity through the 6to4 relay before adding the IPv6 route to the routing table. This addresses one of the IPv6 “brokenness” issues where clients would try to establish an IPv6 connection to an address that could not be reached through the relay. The update also addresses stability issues when many IPv6 addresses and routes are used, and alters the default behavior of Internet Connection Sharing with 6to4. 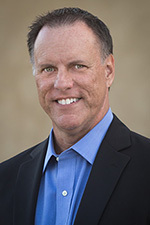 In addition, when clients are configured to use IPv6 as their default connection but don’t have an IPv6 connection to the Internet, the update enables the use of the Network Connectivity Status Indicator (NCSI) functionality to verify IPv6 Internet connectivity before establishing a connection. If an IPv6 connection to the Internet is not available, the client will use IPv4 instead of IPv6. 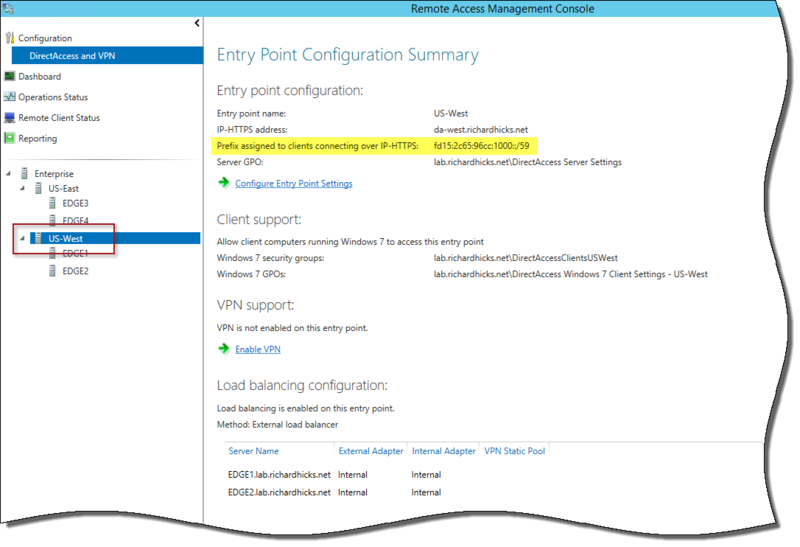 You can download the IPv6 readiness update for Windows 7 and Windows Server 2008 R2 here. Joseph Davies’ latest book Understanding IPv6: Your Essential Guide to IPv6 on Windows Networks is now available. Now in its third edition, this book is an excellent reference for systems administrators and network engineers wanting to learn the fundamentals of IPv6, and specifically how IPv6 is deployed on Microsoft networks. The book explains in detail the inner workings of the IPv6 protocol, including addressing, IPv6 headers, ICMPv6, and neighbor discover. In addition the book also covers IPv6 name resolution, routing, and transition technologies such as ISATAP, 6to4, Teredo, IP-HTTPS, DNS64, and NAT64. 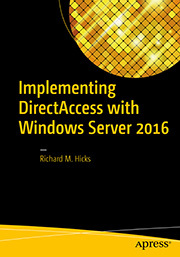 New in this addition is a chapter covering DirectAccess in Windows Server 2008 R2 and Windows Server 2012. Get your copy today!